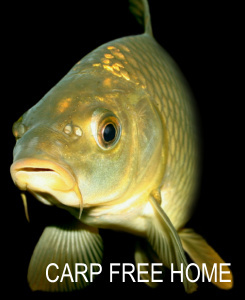 According to literature data (Kasumyan & Døving, 2003; Isaeva 2007), sucrosa as gustatory stimulus is indifferent for most of cyprinid (Cyprinidae) fish such as carp, Cyprinus carpio, tench Tinca tinca, bitterling Rhodeus sericeus amarus, lake bleak Leucaspius delineatus, crucian Carassius carassius, goldfish Carassius auratus, chub Leuciscus cephalus, European minnow Phoxinus phoxinus and bream Abramis brama, in the experiments with the agar-agar pellets. Sucrosa as gustatory stimulus is only positive for roach Rurilus rutilus, grass carp Ctenopharyngodon idella as well as for guppy Poecilia reticulata (Poeciliidae) (Kasumyan & Døving, 2003) which eat the most large amount of vegetable food. In the field experiments described below, we have tested the attractiveness of sucrosa for cyprinid fish. Moistured unfermented wheat bran with sucrosa (10 %) and without sucrosa were mixed with the pure dry grey clay in proportion 1:1 or 1:2, depending on the clay pastiness. Both mixes were rolled into the balls (3 cm diameter) and dried in air within 12 hours. Then dry balls (that had the same color) were strung on the lines (0,25 mm) ended by the small button like stoppers (15 mm diameter), with marks to distinguish them. In the field, lines with the two compared balls were tied (25 cm between centers of the balls) to the cross bar placed above the water with the help of two racks. Narrow channels (40-50 cm width) in the shallows between macrophytes (usually water lily, Nuphar lutea, and pondweeds Potamogeton spp.) were selected. Balls went down to the depth of about 5 cm, to attract roach and other top dwelling fish, or about 30 cm, to attract crucian and other bottom dwelling fish. In the surface tests, mainly juvenile roach, R. rutilus, rudd, Scardinius erythropthalmus, as well as juvenile and adult river bleak, Alburnus alburnus, were attracted. In lentic waters, lake bleak, L. delineatus, occured instead of river bleak. In the bottom tests, mainly juvenile crucian, C. carassius, tench, T. tinca, as well as juvenile and adult bitterling, R. sericeus amarus, (in areas with the sandy bottom) were attracted. Roach, rudd and bitterling actively ate (in June) green algae. After immersion into the water, clay balls with sweet and savorless wheat brans were beginning to crumble with bran particles and attract fish. The fish were biting and destroying the balls. So, the first touch of fish to one of the balls and the destruction of the most attractive ball first were used as criteria for statistical estimations.